Classic Banana Pudding is decadent and ultra comforting. Whether it's made with Nilla wafers or Chessman cookies, real homemade custard, or instant vanilla pudding, it all ends up being absolutely delicious. This coming weekend, I'll be attending a wedding where the bride had the cute idea of having a potluck dessert bar. A bunch of wedding guests will be baking up a variety of different individual sized treats and I thought that Bite-Sized Banana Pudding would be such a fun idea. They're easy to grab, simple to make, and taste exactly like the perfect bite of banana pudding. In today's recipe I'll show you how to serve up these individual treats in two different ways! One that's easy to grab and toss in your mouth, and another version that's served in disposable dessert cups. Both are easy to put together, and more importantly, really fun to make with the family! Update: Another addition to today's recipe is a little trick that will take the worry out of making homemade whipped cream for special events. I've found that aerosol whipped cream and even good ole homemade whipped cream seemed to deflate within minutes of serving. I did a little research into some solutions for doctoring up homemade whipped cream so that it holds its shape for hours. All it takes is a secret ingredient...unflavored gelatin! This gives the whipped cream some body and doesn't affect the flavor or texture! I was shocked when the gorgeous dollops of whipped cream stood tall all thru the night at the wedding, and looked as beautiful at serving time as they did when I made them that morning. Let's get cookin! - Dissolve 1 tsp of unflavored gelatin in ¼ cup of water. Heat over very low heat for a minute or two to make sure it’s all incorporated. Take off the heat and allow to cool completely, about 5 minutes. 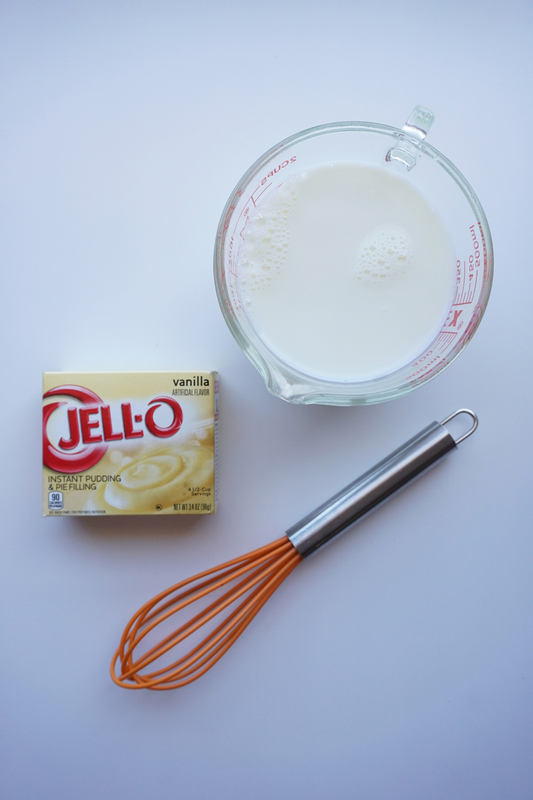 - Combine 1 ½ cups of heavy whipping cream and 2 tbsp of white sugar into a large bowl or the bowl of your stand mixer. - Beat on medium speed until the cream starts to to form billowy clouds of whipped cream. 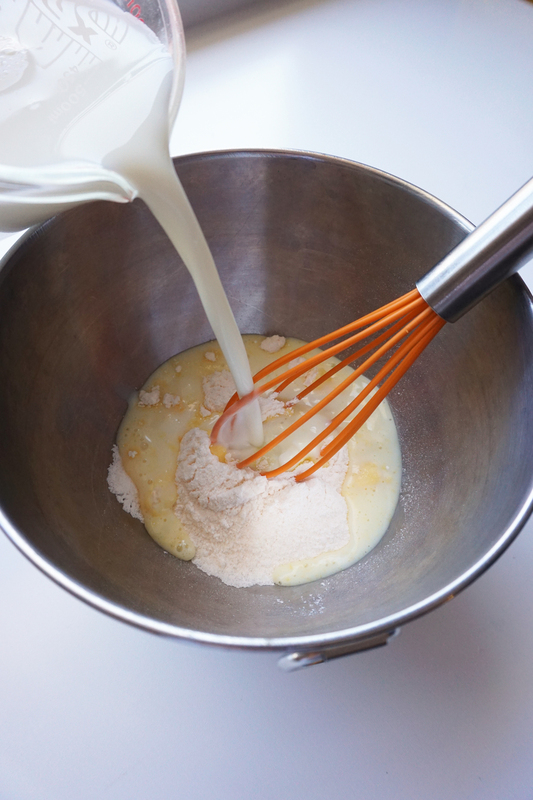 Slowly pour in the dissolved gelatin and continue to whisk the milk. 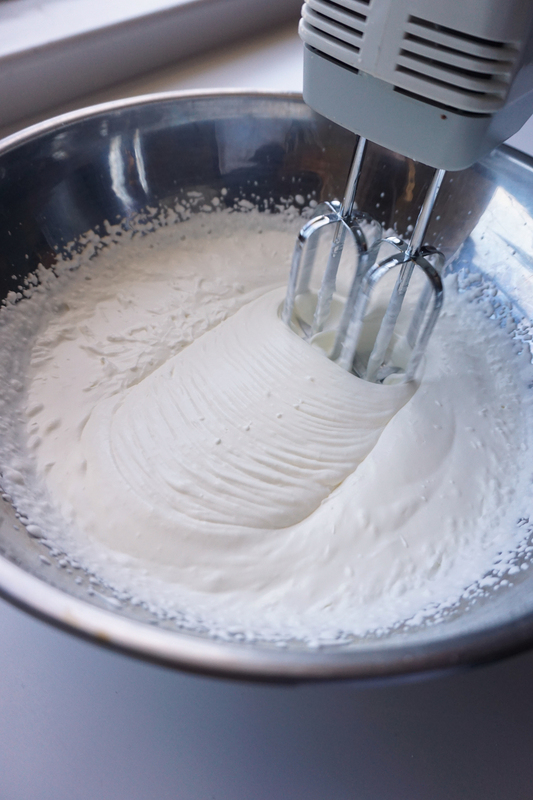 The fat molecules in the cream start to join together and form pockets of air, which creates the structure in the whipped cream. The gelatin will help it keep its body. - In a large bowl, empty the vanilla pudding mix. 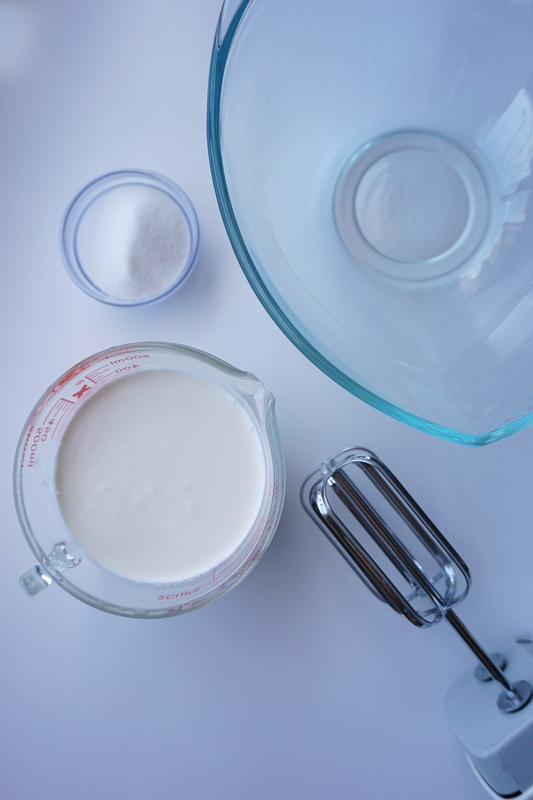 Slowly whisk in 1 2/3 cup of milk. - The consistency will be pretty runny. Cover the pudding with saran wrap and let it sit in the fridge for 5 minutes to thicken up. It truly is instant! - Slice a banana into 1/4″-1/2″ coins - it’s really a personal preference when it comes to thickness. - By now, your pudding should have reached the right consistency. - Take out whatever serving platter you’re going to use - from here on out, it’s a simple assembly line and goes by really quickly. - On each individual Nilla wafer, place a slice of banana and a spoonful of vanilla pudding. - It’s really helpful to have a wet paper towel at your work station when dealing with sliced bananas! :) This is an easy way to keep your hands clean. - Slice some of the banana coins in half for garnish. - When you’re ready to serve, add a dollop of whipped cream and a banana halve on top of the pudding. - I found great disposable dessert cups at my local restaurant supply store. All you've got to do is layer Nilla waters, slices of bananas, vanilla pudding, and whipped cream in the cups. The best part about Banana Pudding is when it all sits and melds together. The Nillas get a little softer, and all the flavors amplify! I love to top mine with crushed Nillas for a little color and crunch.